This is the story of the beginnings of WITADA. It’s important for me to be able to share here the way in which my own life experiences have shaped my work now. I know that we all have these pivotal moments in life and this was certainly one for me. The idea for WITADA developed over many, many years but had it’s inspiration in a trip I did to Cambodia in 2002 to visit a friend who was working for IOM reintegrating children who had been trafficked into sexual slavery. I loved Cambodia and was so struck by the beauty of the people, their incredible kindness and their pride in their identity and their country. Of course the conflict had really only ended fairly recently and I was told many times that elements of the Khmer Rouge were still operating in parts of rural Cambodia. Nearly every Khmer person I spoke to asked me if I had visited Tuong Sleng (the infamous prison camp where Khmer people were held and executed) and the Killing Fields (where so many Khmer people were executed and then buried). It felt to me to be a mark of respect for their relatives that those who visited their country outwardly acknowledged their tragedy by visiting these sites. The most moving and disturbing experience of my life was my visit to the Killing Fields. Firstly, let me say I have not lived a sheltered life, as an adult nor as a child. I have been exposed in my own life and work to some of the most heinous crimes and injustices. But I still was not prepared for this. Set in the most beautiful open fields with tall palm trees, rolling hills and thousands of butterflies, are small mounds with shreds of clothing and shards of bones protruding from them. As we silently walked I became increasingly conscious that these mounds were indeed the shallow graves that held the bodies of ordinary Khmer people who were murdered here. It was their clothes and their bones I could clearly see and tried so hard to avoid walking over. We came to a large and beautiful tree. My friend gently pointed out to me the indentations in the trunk of the tree, from which more shards of bone were protruding. She told me that here soldiers of the Khmer Rouge smashed babies’ skulls into the tree to kill them as their desperate and helpless parents watched on, before they too were murdered. That day changed my life. I vowed that I would never be silent again about any injustice I saw or heard anywhere in the world. Even though I had not been silent in my protests in the past, this felt difference. With hindsight I can see that this is the day that WITADA was born, although I couldn’t see its shape and form back then. What struck me most about my experience of the Killing Fields was two things. Firstly, I could not, and still cannot, comprehend how one human being can do this to another. How can it be that we can inflict such cruelty and such pain on others? How can we live with ourselves when we do and afterwards? How do we incorporate these acts into our lives? How do we come to regard what we have done and why we have done it? I simply could not understand how this could be so? Secondly, I could not, and still cant, comprehend how the rest of us sat by and did nothing to prevent this massacre, this genocide. What is it about us that means we knowingly allow these things to happen, and then to happen again and again? What is it about us that allows children to be sexually abused, neglected, tortured? And why is it that as a global society we find it so terribly difficult to change these things? Can we not agree that these injustices are wrong and must be changed? Surely we can agree that misuse of power in any form is not acceptable? What is it that stops these things from changing? These are the questions that WITADA hopes to address. Ambitious yes, but also essential and timely. Our capacity as a human race to make unbelievable things happen must now also include making justice and peace a reality for everyone. It is time, I believe, for our moral development to be on par with our technological development, to use our skills, resources and our social and political will to solve the social problems that create suffering and inequality and to create, for us and our children everywhere on the planet, a more equitable and peaceful world. 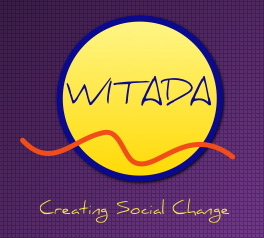 WITADA is an acronym for What I Think And Dream About – and this is what I think and dream about.